On Wednesday night I saw Patent Pending supporting Bowling For Soup (on their Farewell UK Tour) and frankly, they were awesome live, so energetic on stage! Then afterwards I had a chance to meet the guys, who were more than happy to take a picture and sign my CD. I think I first discovered these guys looking on a site for new pop punk bands to listen to. I remember they had a pretty amusing song out called 'Cheer Up Emo Kid' which I liked, and around the time they had also released one of my favourite Christmas punk songs, the fantastic 'She's A Ho-Ho-Ho Merry Christmas'. The next time I listened to the band after that was when I heard the song 'I'm Not Alone', a super catchy song that I revisit fairly frequently on iTunes, along with the album that it comes on. Then I was shown the song 'Douchebag' and that was another super catchy song, with lyrics that probably highlight how a few of us probably still feel about certain people we know from back when were in school. Then last night I first heard a song they made about Nintendo's own Mario and how he needs to quit chasing Peach... which is also incredibly catchy... and another song 'Psycho In Love'... Wait a second, I'm starting to notice a trend here. 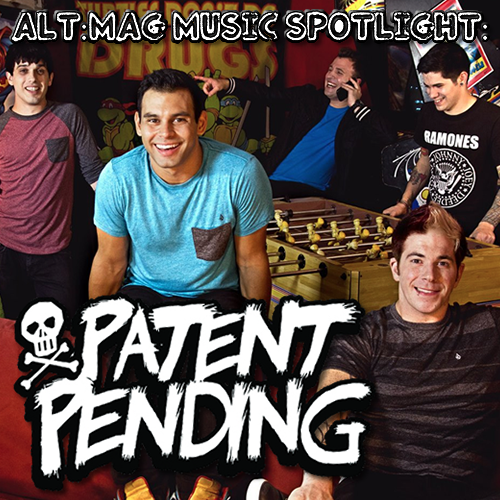 All of Patent Pending's songs are so darn catchy! Indeed they are, and even the less hook-focused songs are pleasant to ear and really nice to listen to, the track 'Spin Me Around' from the 'Second Family' album is an example of this, if you're mushy like me you'll love this pretty much perfect acoustic pop punk love anthem. Another thing to mention is lyrics. 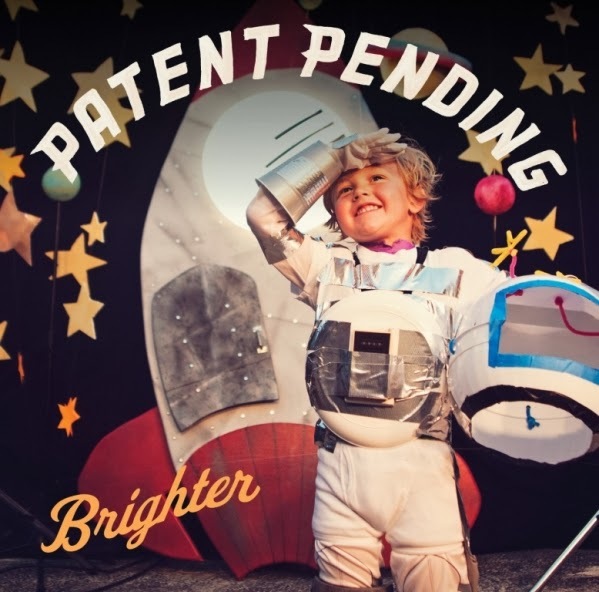 According to the Patent Pending article on Wikipedia (my University would fail me for citing such a reference) the dudes in Patent Pending aren't just influenced by the pop punk greats, they apparently also draw influence from hip-hop and R&B music. This is apparent from the rap verses of 'All-Star Hipster' (we all know one) and the smooth vibes of 'Damn! ', both from the band's rocking new record 'Brighter'. But it isn't just rapping in verses that informs me of their hip-hop influence, but the complexity of their lyrics - they are punchy, funny and creative with references to pop culture. I always loved the line that lead vocalist Joe Ragosta sings on the above mentioned 'I'm Not Alone': 'Throw away your rubix cube, you're never going to figure it out', I'm not completely sure why, it just really stuck with me for some reason. Any fan of catchy pop punk hooks and generally creative and happy songs can't miss this band, they're just too awesome. Oh yeah speaking of awesome, they also made a song about Mario... oh, did I already mention that? Of course I did. But it's worth mentioning again. 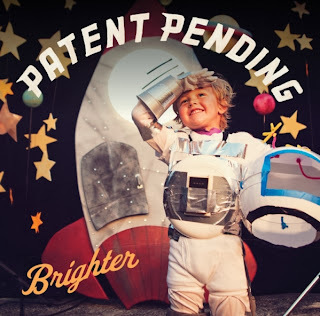 Anyhow, I've place the video for that one below, and don't forget to check Patent Pending out on their website, iTunes, YouTube, Facebook and Twitter. You might just have discovered your new favourite band!